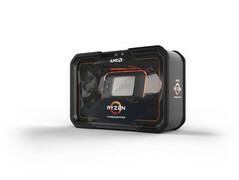 AMD has announced that its latest HEDT CPUs, the Ryzen Threadripper 2, are available for pre-order starting today for a retail launch on August 13. The second generation Ryzen Threadrippers come in multiple SKUs targeting different segments of the enthusiast gaming and content creation market with prices starting from US$649 for the Threadripper 2920X and going all the way up to US$1,799 for the Threadripper 2990WX. Well, it's finally here, folks. The 2nd generation AMD Ryzen Threadripper had its fair share of leaks over the past few weeks ever since AMD first showed it off during Computex 2018. Now, AMD officially announcing all the available SKUs, specs, pricing, and availability. Pre-orders are live right now with retail availability starting from August 13. Unlike the first generation Threadrippers, this time, AMD is segregating the product line targeted at different segments within the enthusiast market. 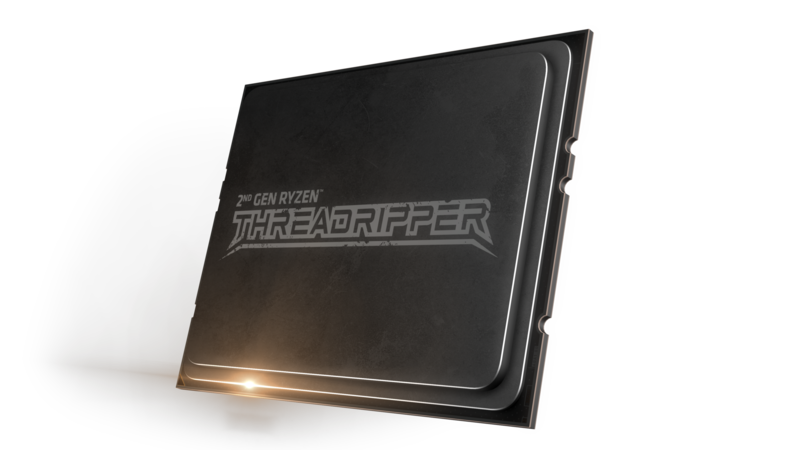 Needless to say, these new Threadrippers are based on the 12nm Zen+ architecture and come with the usual suite of Ryzen 2 features. So without further ado, let's check out what these bad boys have to offer. The 2nd generation Threadripper is categorized into two broad SKUs — X and WX. The X-series consists of the Threadripper 2920X and the 2950X — both 180W TDP chips aimed at enthusiasts and gamers who'd want to go with the lower (ahem...) core counts for gaming and single-threaded workflows but still need the added multi-thread horsepower. The 2920X is the least expensive of the lot at US$649 and for that you get a nice 12-core 24-thread chip that has a base clock of 3.5 GHz and can boost up to 4.3 GHz. The Threadripper 2950X will set you back by US$899 but for that kind of money you get a 16-core 32-thread chip with a base clock of 3.5 GHz and boost clock up to 4.4 GHz. The Threadripper 2920X hits a sweet spot with gamers who'd like to stream and game at the same time without any frame drops. The Threadripper 2950X, on the other hand, is US$100 cheaper than the last generation 1950X, which it succeeds while still offering the same core counts. Then there is the 250W TDP WX-series designed for content creators and innovators that includes the Threadripper 2970WX and the 2990WX. The Threadripper 2970WX is a 24-core 48-thread part that retails for US$1,299 while the flagship Threadripper 2990WX is a 32-core 64-thread chip that costs a cool US$1,799 (as expected). That might sound a lot but factoring in the kind of work these monsters are cut out for, the pricing is considerably killer. Both these CPUs are clocked at 3 GHz base and 4.2 GHz turbo. AMD does not show any relative gaming percentages for the WX-series but does show highly significant performance boosts when compared to the Intel Core i9-7980XE across most professional workflows. The actual performance figures are still under embargo but thanks to a goof-up by AMD France, we know that the 2990WX scored an impressive 5099 Cinebench R15 points against the i9-7980XE's 3335 points resulting in a commendable 53% lead. Core counts and clocks aside, both the X and WX-series support DDR4-2933 RAM and offer 60 PCIe lanes. Since they inherit Ryzen 2 features such as XFR 2 and Precision Boost 2, the actual per-core boosts will largely be influenced by the cooler used and ambient temperatures. We've seen that all the 32 cores in the 2990X can boost up to 4 GHz on air using the new Cooler Master-designed Wraith Ripper cooler so a more robust liquid cooling system can possibly eke out even more speeds. While pre-orders for all SKUs are on, AMD has opted for a staggered availability schedule. The flagship Threadripper 2990WX will be available in retail from August 13 while the 2950X will be launched on August 31. The 2970WX and the 2920X, on the other hand, will be available from October 2018. Are you contemplating on snagging one of these beasts? Let us know in the comments below. SANTA CLARA, Calif. — Aug. 6, 2018 — AMD (NASDAQ: AMD) today announced immediate worldwide pre-order availability from over 80 global etailers and system integrators for the highly anticipated flagship 2nd Gen AMD Ryzen Threadripper desktop processor. Breaking the world-record Cinebench R15 multi-threaded CPU test with the highest benchmark scores in the single-socket desktop processor category, the 32-core, 64-thread 2nd Gen AMD Ryzen Threadripper 2990WX is designed for professional content creators, developers, and PC enthusiasts. The 2nd Gen line-up features four total processor models coming to market in 2018, all of which are built on the 12nm “Zen+” core architecture, include the unique 2nd Gen AMD Ryzen processor feature set, and are compatible with existing and new X399 motherboards. With the 2nd Gen AMD Ryzen Threadripper 2990WX and 2970WX processors, AMD adds the new Ryzen Threadripper WX Series above the existing Ryzen Threadripper X Series processors, meeting creators’ demands for the ultimate desktop computing power for the most intense workloads.